First and foremost..... I hope all of you are staying safe on the East coast. Please, please take care of yourselves... that is the number one thing you need to think about. My thoughts are with each and every one of you. 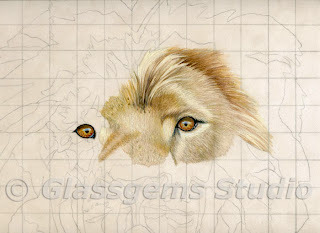 Here is the next update on my sweet lion named Simba. He is such a gorgeous boy and I love watching him and telling everyone about him when I am volunteering my time at PAWS. I'm still doing some work on the nose so please don't judge that yet. He's done in mostly Prismacolor and Derwent Studio Colored Pencils on Suede mat board. You are only seeing part of the upper half of what will be the finished piece. This piece will be donated to Animal Defenders International (ADI). ADI was the organization that were instumental in getting the the lions to PAWS. 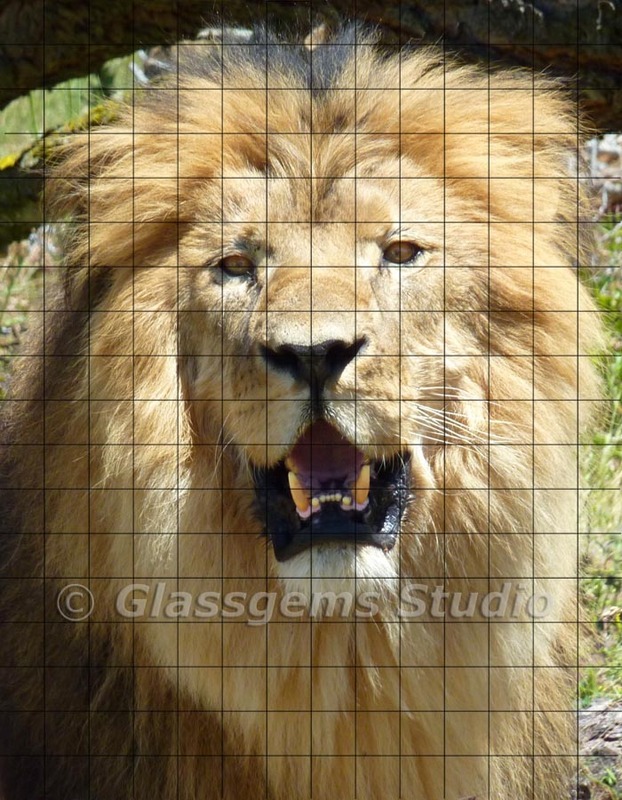 They are also paying for the care and habitat for the lions at PAWS. They are a wonderful group of people who are very passionate about freeing animals from the deplorable conditions in the circus' and any other deplorable conditions all around the world. Simba was one of the lions who was released from the Bolivian circus. He and three others from Bolivia, are now living a wonderful life in there very very large habitat at PAWS. If you should have any questions or comments please don't hesitate to speak up. And.... don't forget to keep scribbling!!!! I will be there by the Lion's habitat so I hope to see many of you there. As many of you probably already know I volunteer some of my time at Performing Animal Welfare Society (PAWS) and Animal Defenders International (ADI). If you are interested in reading more about these organizations here is a link to their websites: http://pawsweb.org/ and http://www.ad-international.org/adi_usa/. ADI was instrumental in getting a ban against animals in circus' in Bolivia. After the ban went into effect ADI brought 4 lions from Bolivia and placed them at PAWS (as well as rescuing several others from there and placing them in other sanctuaries). I am a docent for the four lions at PAWS. I met the founder and Director of ADI at PAWS and promised them I would create a drawing of one of the lions from Bolivia to donate to them to do what they want with it. I think they are going to try to do an auction on the artwork. They recently sent me a photo of Simba to work from and that reference photo is to the left here in this post. I started working on Simba...... this is all I have done so far. Of course... I'm only showing a portion of the drawing at this point. The drawing is 18" x 14" on a light beige Suede Mat board and it will be 100% colored pencil. As you can see, I draw the grid right on the drawing and the reference photo. This helps me keep track of where I'm at as I create the drawing. I am still working on this area so it isn't finished yet. You can see I need to push the values a bit more than I have at this time. I'm also seeing I need to do a bit more with the eyes. It's amazing how posting it the computer can make you see some of that stuff you don't see prior to posting it. As always.... if you should have any questions or comments let me know and above all..... keep scribbling!!! Just thought I would let you know that there are only two spots left on the Colored Pencil Cruise to the Mexican Riviera. It should be lots of fun, there will be 9 days of fun and three of the days will be Colored Pencil workshops, taught by, Ann Kullberg, Linda Hardy and myself. Come join us and keep scribbling!! Well... I finally finished this guy. I'm going to title it "Here's Lookin' at Ya". 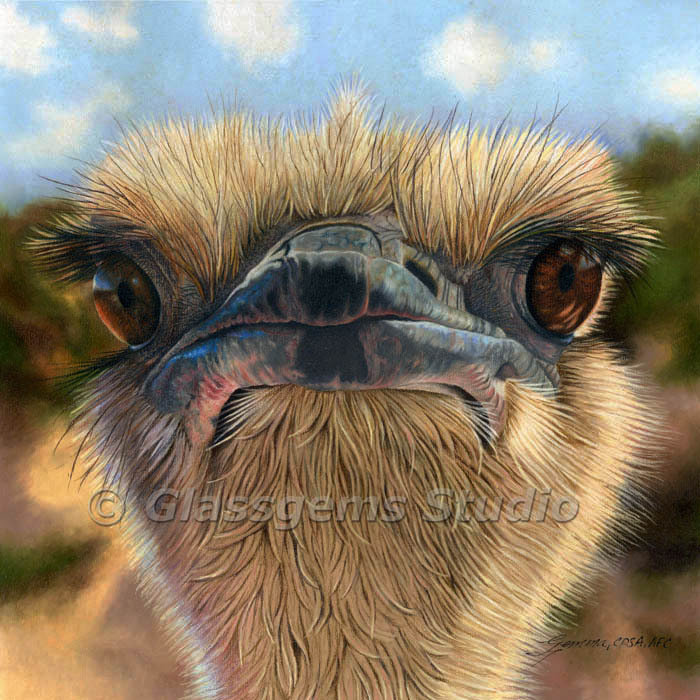 It's 100% Colored Pencil on UArt, 600 grit sanded surface and the piece is 16" X 16". I'm fairly happy with it, I have to say I struggled a bit with the UArt but I am getting used to it and I'm sure I will be using it again. I also used the heated Icarus Board which help saturate the paper very quickly. Next I have to do a commission piece. 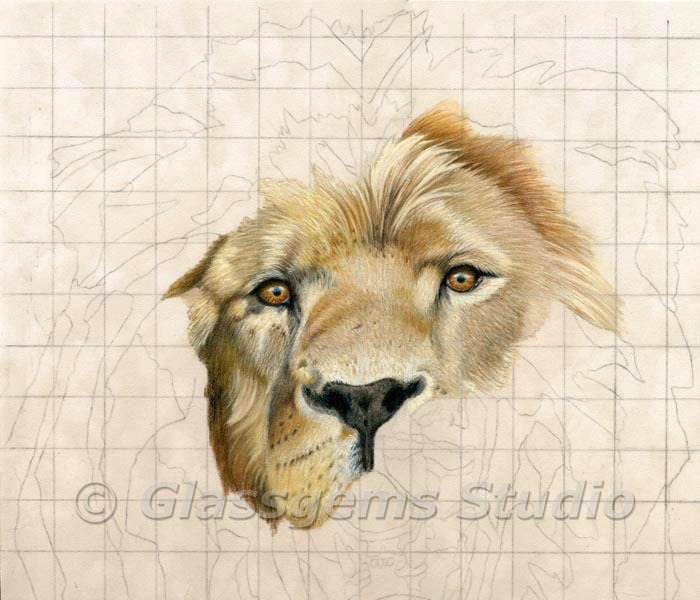 It will be an male African Lion. That piece is being done for Animal Defenders International, they are a group I do some volunteering for. I'll be posting a work in progress so don't forget to check back. If you should have any questions at all, please don't hesitate to ask. Comments are welcomed as well. Don't forget to keep scribbling!! Gemma has a great video at Bluprint/Craftsy click on the image to read more! Images from my blog may be pinned to Pinterest as long as my blog is credited. Do not copy and post my images without link back. Scribble Talk - Artist's forum! Art Haul and New Plans!! What Are You Really Selling?